When we help match people to their ideal property, it’s like putting the last piece of a puzzle in place. What a satisfying and worthwhile feeling of accomplishment! The Shuswap is the place where all our pieces came together and we have raised our children here in a community that cares. We would love to help you find the place you fit perfectly, too. Desmond Arens grew up in Kamloops and spent years working on a ranch at Pritchard. After some time in Ontario getting married, starting a family and then earning his Accreditation in Recreation Leadership from Conestoga College, as well as completing the Ontario Management Development Program, he moved his growing family to the Shuswap, settling in historic Notch Hill. Here he and his wife, Susan, raised their three children while he worked for 15 years as General Manager for his family’s business. 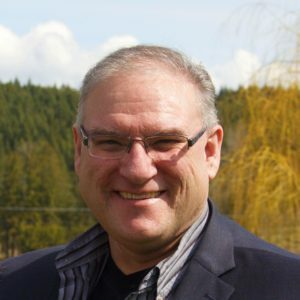 Sensing that the time was right for a change, Desmond completed his Real Estate Trading Licensing through UBC’s Sauder School of Business and he now uses his extensive knowledge of the Thompson – Shuswap – Okanagan region to assist both buyers and sellers in achieving their Real Estate goals. Susan (Spencer) Arens hails from southern Ontario and earned her B.A. in Psychology from Wilfrid Laurier University. She and Desmond have raised three children (each of whom she home-schooled from 3 to 6 years) and are now proud grand-parents. 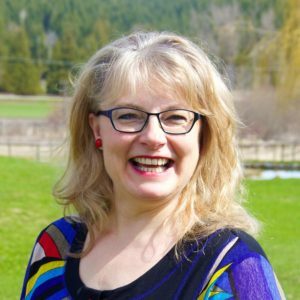 Her work experience ranges from Office Manager, to Residential Counsellor, to Retail Sales, to Farmer and many places in between, while her volunteer experience includes the Royal Canadian Air Cadets 222 Shuswap Squadron, 4-H Clubs and Church Music Department Head, Singer and Musician. She was delighted when Desmond proposed hiring her as his assistant, and has since taken training at the Okanagan Mainline Real Estate Board. She enjoys keeping the office organized and searching listings for the ideal properties for Desmond’s clients. “Making a life changing move to the Shuswap was no easy feat to accomplish. Making our way into the local area realty office we were introduced to Desmond. From our first day we had the opportunity to view a property and in this first meeting we chatted and learned much about the area from Desmond.